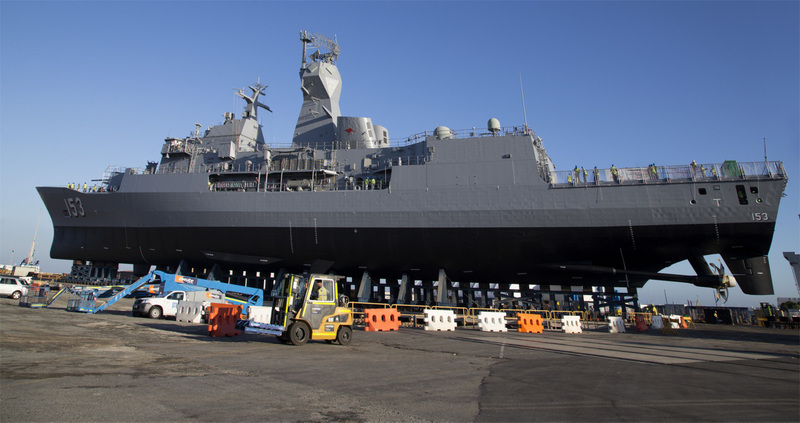 HMAS Stuart (III) is the fourth of eight Anzac class frigates built by Tenix Defence Systems at Williamstown, Victoria for the Royal Australian Navy. The design is based on the German Meko 200 frigate. Stuart is a long-range frigate capable of air defence, surface and undersea warfare, surveillance, reconnaissance and interdiction. Stuart's combat capabilities have been significantly improved under the Anti-Ship Missile Defence upgrade program, a world class program that provides an enhanced sensor and weapons systems capability. The upgrade showcases Australian design and integration capability, with new Phased Array Radar technology designed by CEA Technologies in Canberra, upgrades to combat systems performed by Saab Systems in South Australia, and platform integration design by BAE Systems in Victoria. Stuart is fitted with an advanced package of air and surface surveillance radars; omni-directional hull mounted sonar and electronic support systems that interface with the state-of-the-art 9LV453 Mk3E combat data system. The ship can counter simultaneous threats from aircraft, surface vessels and submarines. The ship's main armament comprises one Mark 45 capable of firing 20 rounds per minute, ship launched Mark 46 torpedoes and a Mark 41 vertical launch system for the Evolved Sea Sparrow missile. Stuart also has eight anti-ship/land attach canister launched harpoon missiles and a vertical launch system for the Evolved Sea Sparrow Missile. The ship's other defence systems include the Nulka active missile decoy system, offboard chaff and a torpedo countermeasures system. 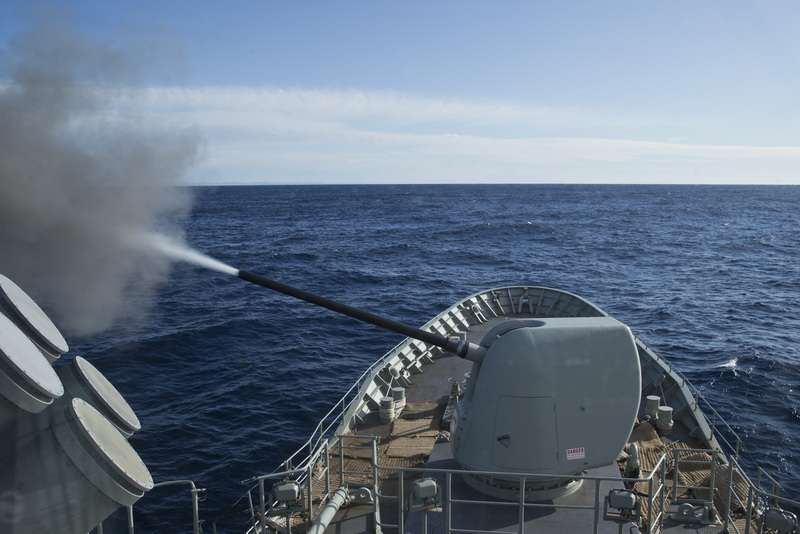 HMAS Stuart fires the Mark 45 Mod II five-inch gun towards a target at Beecroft Weapons Range. HMAS Stuart, like her sister frigates HMA Ships Anzac, Arunta, Ballarat, Parramatta, Perth, Toowoomba and Warramunga features a "combined diesel or gas" (CODOG) propulsion plant which enables the ship to sustain sprint speeds of greater than 27 knots and allows an operational range in excess of 6,000 nautical miles at 18 knots. 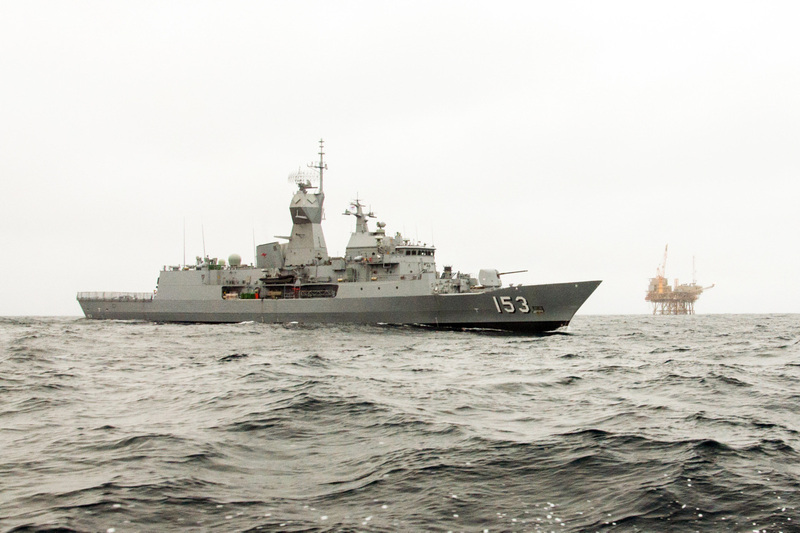 HMAS Stuart conducts a security patrol amongst the offshore gas rigs in the Bass Strait as she heads from Perth to Sydney. Since commissioning Stuart has participated in border protection operations, the apprehension of the North Korean flag bulk carrier the Pong Su and was deployed to the Middle East region as part of the International Coalition against Terrorism in 2004. 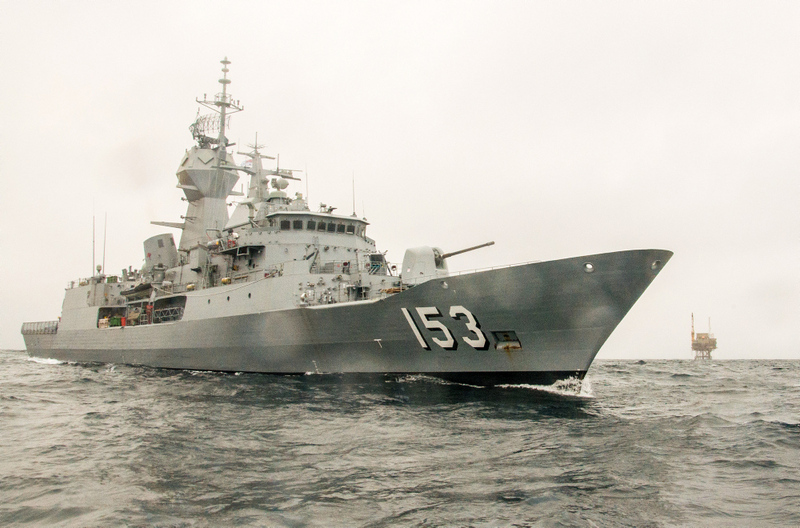 HMAS Stuart (FFH153) is the third ship to bear the same name in the Royal Australian Navy.